About the Author&colon; David Hutton is an experienced consultant who has specialized in the assessment field since 1990. He is the President of his own company, David Hutton Associates, Inc. which provides consulting services to many well known organizations. He has served as a senior examiner for Canada Awards for Business Excellence for eight years. 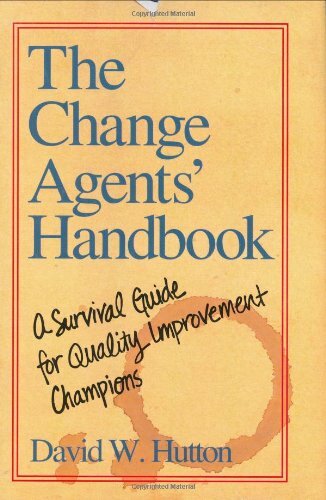 Hutton is the author of The Change Agents' Handbook: A Survival Guide for Quality Improvement Champions (Quality Press 1994).